ChainBytes is a leader in blockchain software and hardware development. 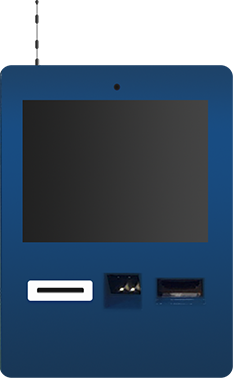 Our mission is to improve bitcoin BTM industry, offering new innovative solutions, moving the boundaries of the industry beyond just a simple buy/sell kiosks by bringing innovations and enabling operators to tap in various additional revenue streams from kiosks them self, becoming a leading blockchain technology provider and reliable partner in support. We know how important is to assure that your machines are up and operational in all times. Our team of over 40 professionals works around the clock to bring innovations and assure maximum performance and minimal downtime of your machines. Our live technical support team assures that you do not need any technical or programming knowledge to operate our BTMs. 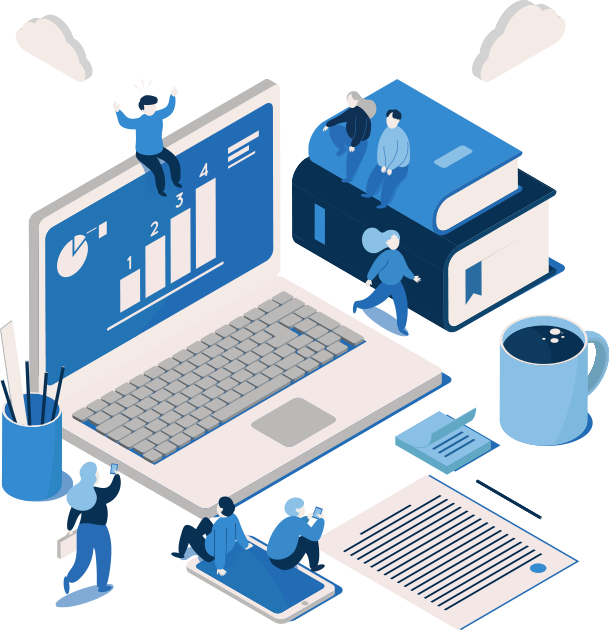 Our custom build “back-office” dashboard platform provides you with detailed reporting of all transactions performed on any of your machines at any time. 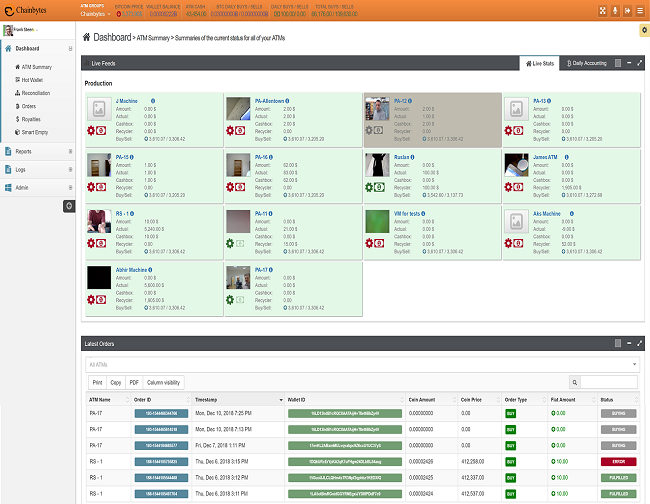 We know how important it is to have full insight into operations, therefore we built a dashboard with your needs in mind. Chainbytes BTM is equipped with Smart Payout Cash Recycler minimizing needed float and ownership cost. 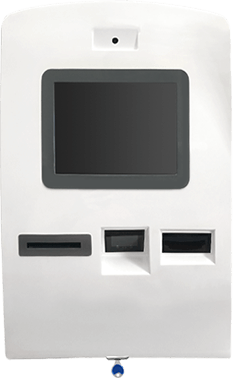 To start operations you need as low as couple hundred of $ in your recycler, which makes our BTM a perfect partner for those looking to start a business with a minimal initial capital and fastly grow the number of ATMs in production. Our operators are reporting exceptionally fast ROI and most of the operators quickly expand to 2nd and thereafter 5th unit operation. With the rise of alternate blockchains and the Alt-coin market, we can integrate most cryptocurrencices and cryptoassets into our ATM software, creating a unique and valuable crypto “on-ramp” to help with adoption and distribution of alt-coins. Did you know that we distribute and release new features twice a month? *Shipping and country import duties not included in price. *Shipping price may vary depending on your location. As a US company, we understand how important is to be compliant with all KYC/AML policies. That’s why we secured a special compliance package for all our USA based clients. For only $1000 our partner company BtmCompliance will provide you with written AML/KYC compliance policy for your BTMs, as well as register you with appropriate authority on federal level, and if you choose to continue with them their dedicated compliance officer will help you in your day to day operation, clearing transactions of flags and reporting any suspicious activity to appropriate authority and all of that for as low as $100 per machine per month, that way you can concentrate on growing your business instead of worrying about regulations. Our simple and intuitive interface was designed with customers in mind. We assured that buy and sell process is as simple as a walk in the park. If you can use smartphone you can use our BTM. Our Dashboard system will give you a full control over all of your machines. Where ever you are you can always check machine status, follow all the transactions, see the amount of cash in the machines, set your fees, compliance level and much more. Our Dashboard assures that you are always in full control. Buying cryptocurrency is easy. Watch this video to learn the steps. 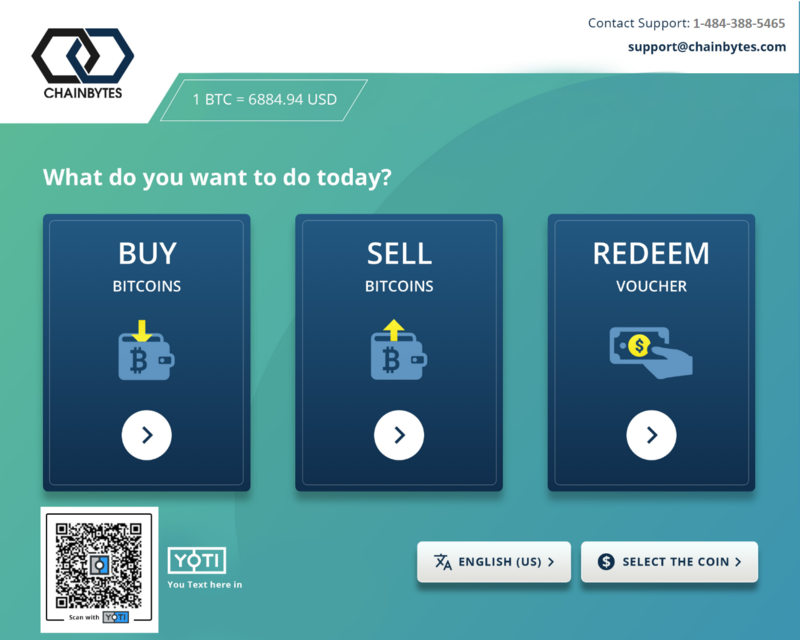 ChainBytes is a bitcoin ATM and blockchain solutions provider, working on making the process of buying and selling cryptocurrencies easy and secure. Copyright © 2019, ChainBytes LLC. All Rights Reserved. Pictures shown are for illustration purpose only.